Earlier this year, I was lucky enough to interview Jocey Hale, the Executive Director of The Loft Literary Center. I have long had an admiration of the Loft, and in recent years, this admiration has grown into a fierce love of this Twin Cities literary organization. Hale’s diverse background includes journalism, the dot com world with an emphasis in online education, and the arts. She received her masters in arts management from the Humphrey Institute at the University of Minnesota. Even before the position at the Loft came about, Jocey was a regular face in the organization: “I just fell in love with the Loft and kept hanging out here and spending a lot more time than I should; I was spending so much time on this volunteer activity,” says Hale. While finishing up her masters at the Humphrey, Hale’s college roommate took her aside and encouraged her to apply for the position. “It’s definitely been a dream job. I love the Loft,” says Hale. However, one of Hale’s first projects was figuring out how to incorporate the ever-changing and growing world of technology into the curriculum and mission of the Loft: “In 2007, the whole economy changed, the way people were funding changed, and the way technology was impacting reading and writing was changing. So I had to take that on immediately, both the economic situation, and then how the Loft was going to embrace technology to serve the writers in our community.” The Loft moved to offering classes online, in addition to their in-person curriculum, and has since worked in other ways to achieve this goal. The Loft’s welcoming arms reach well into the local community. Collaboration is a key part of the Loft’s success and relevance to the current climate of the Twin Cities literary community. Hale observes that the local community can get divided by niche groups and even race lines, so the Loft works to collaborate in ways that cross these lines, through their events and accessible low income pricing. The classes are, in Hale’s words, “really writer-centric,” which, as a previous Loft class participant myself, I’m happy to confirm. Not only does the Loft offer classes and events, but it is also the administrative home of the McKnight Fellowships for writers, as well as a mentorship series for emerging writers, and more, through which it pays writers over $400,000 collectively. As Hale underlines, “What really makes the Loft an important organization is our continuum of opportunities.” This is an organization with writers from the very beginning, all the way through to publication and beyond. 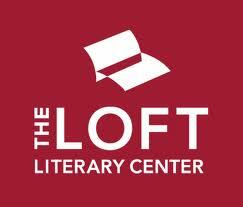 The Loft wields valuable influence as an institution that fosters a vibrant local literary ecology. This ecology in turn encourages not only writers, but small start-ups to succeed (such as Paper Darts, and Revolver, to name just a few). Indeed, Hazel & Wren even owes much of its success to the welcoming arms and enthusiasm of the local community. Hale continually stresses how fantastic the Twin Cities literary community is, with such a great number of up-and-coming fresh new voices of literary magazines and organizations. This period of intense creative growth in Minnesota excites one of Hale’s interests: the life-cycle of nonprofits. She goes on to assert that start-up organizations aren’t held accountable to a paycheck, and are therefore able to be as creative as possible. “That is so important for the community to be able to have this,” she adds. These start-ups with boundless creativity are reflective of the local literary community. As Hale says, “To me, it’s a sign of a community that has an institution like the Loft, because the ecosystem is working. It’s not that the Loft can take any credit for […] all [of the] creativity that is happening around [it], but it does create a community where all you creative people are just drawn to it.” She highlights the “exciting core” of Twin Cities institutions that make this an encouraging place to live and start something new, thanks to the Loft, Graywolf Press, Coffee House Press, Milkweed Editions, and Rain Taxi. “Everyone’s just excited about that energy,” she adds, smiling. Still, there comes a time in the life cycle of most nonprofits where, in order to survive long-term, grants, advertising, and/or paychecks must become a part of the equation; and with them, more obligations. “When money starts to get involved, you reach this tension where you might become a little bit more conservative, because suddenly, you’re answering to other people,” says Hale. Since my conversation with Hale, I haven’t been able to stop thinking about this life-cycle of nonprofits. As a start-up ourselves, we at Hazel & Wren are daily turning this over in our heads. How will our life-cycle change over the years? What will growth mean for our literary community? Will we survive as a purely unpaid, volunteer-run organization? I’m not sure what five years down the road will look like for Hazel & Wren, other than I’m sure we’ll still be here in some form. But how? It’s a huge question for start-ups, but one that is exciting to ponder. What are the literary institutions that make up your literary climate? Do you think these institutions are necessary for a welcoming climate for small, unpaid start-ups? oooh, this is a great interview, Wren. And topped off perfectly by the questions at the end! Really some good food for thought here. I have long thought that the pure existence of the Loft (and the other orgs you mention) make it much more likely that we will continue to have a vibrant literary community here, as continuing to attract or retain those folks who want to reach further is vital to keeping the community alive. I have to say, it’s great to watch it happening all around, and even more fun to be a part of it! Thanks, Linda! I totally agree, we are extremely lucky to have The Loft and all these great orgs in our local literary ecology!